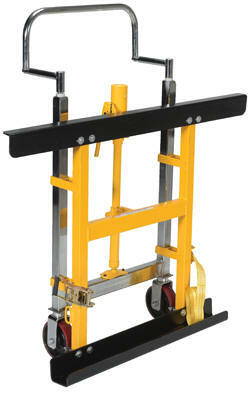 Designed for moving empty fully-assembled pallet racking. Lifting dolly jack includes hydraulic pump to raise pallet rack frame. Frame must have low cross-bar for proper usage. 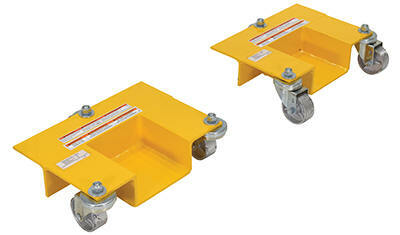 Safety strap is used to secure lifting dolly to pallet rack frames. Steel construction with painted finish. Optional dollies are used to hold frame feet. Model PDF's Description Uniform Capacity Wt.